Acia is a life long resident of Dorchester and has been a board member since December 2003 and served as board president from 2006-2010. She became a volunteer member of the MAHA Homebuyers Union in 2001. 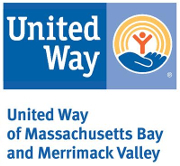 Acia has participated on numerous campaigns with the MAHA staff and Homebuyer Union members to promote investment in our urban communities and to make Boston a more affordable place for low to moderate income families. Acia's favorite quote is from Thomas A. Edison, "Many of life's failures are by people who did not realize how close they were to success when they gave up." Kenzie is Senior Advisor for Policy & Planning at the Boston Housing Authority. She also has her PhD in History from Cambridge University in England, where she spent four years as a Marshall Scholar, and she now teaches weekly undergraduate seminars at Harvard on the history of moral philosophy and on "Justice in Housing". A lifelong Bostonian, she has been involved in local politics and neighborhood civic affairs since childhood, but she first got to know MAHA by working side-by-side on the Yes for a Better Boston campaign to pass the Community Preservation Act over the course of 2016. Kenzie is invested in ensuring that Boston is a city where people of all incomes can put down roots and thrive. Vice President Thadine is a SoftSecond homeowner and Hyde Park homeowner. She has been an active volunteer with MAHA since 2008. Thadine is a dedicated young professional who is determined on making a lasting impact in her neighborhood. She is an alumna of Long Island University where she earned her bachelor’s degree in Marketing; and a graduate of Emmanuel College where she earned her master’s degree in Management and a graduate certification in Management & Leadership. She believes that giving back and advocating for others is ultimately the best way you can invest in yourself. Ashley is a Dorchester homeowner and attorney in the Boston area. She is a member of several local bar associations and involved in local politics. She is married and has one daughter. President Esther is a resident of Brockton and a SoftSecond homeowner. She has been a board member since 2005 and served a three-term as MAHA President in January, 2014. She is a native of Barbados and is the Leased Parking and Commuter Services Manager at Massachusetts General Hospital. She is a graduate of Suffolk University's Sawyer School of Management. Karen is a resident of a Roxbury and has been an active volunteer with MAHA since 2003. She is the office manager for the Department of Developmental Services, Executive Office of Health and Human Services [EOHHS], Commonwealth of Massachusetts. Calvin is a resident of Braintree and the associate broker and recruiting director with Success! Real Estate. He has been in the real estate profession since 2001. With prior work experiences in architectural design and property management, he has the distinctive knowledge of assisting first time homebuyers to find suitable properties as a realtor. Fluent in Cantonese and Mandarin, Calvin has been the presenter at first time homebuyer classes for MAHA. He is the producer/host of Real Estate Focus on QATV in Quincy. Shannon is a ONE Mortgage condo owner who resides in Dorchester. She has lived in Boston for over 8 years and is a Massachusetts native. Shannon has been an active volunteer with MAHA since participating in their first-time homebuyers classes in 2017. She has worked in public health for over 10 years, and believes all Massachusetts residents should have equitable access to homeownership. LaTanya is a SoftSecond homeowner and resident of Allston. She served as board president in from 2011-2014. She formerly worked at Boston Medical Center as the Regulatory Affairs Coordinator/Data Manager for the Center for HIV/AIDS Care and Research. She is now the Process and Quality Group Specialist in the North America Medical Services department of Parexel, a global bio/pharmaceutical services organization. Craig is a resident of Randolph and the business manager with the New England Council of Carpenters Local 723. Audit Committee Chairperson Bob is president emeritus of Savings Bank Life Insurance and a resident of Hingham. Bob chaired MAHA's capital campaign from 2006-2008 that resulted in our new home on Dorchester Avenue and also chairs MAHA's Kitchen Cabinet. Bob joined SBLI in 1990 as executive vice president and was named president and CEO in 1992. Prior to joining SBLI, he served as president of the Massachusetts Bankers Association. SBLI was successful under Sheridan with assets nearly tripled from $900 million in 1992 to $2.4 billion in 2011, and life insurance in force increased almost tenfold, from $12 billion to $114 billion. Sonia is a ONE Mortgage homeowner who resides in Hyde Park. She has been an active volunteer with MAHA since taking the Homeowner class in 2016. Sonia has lived in New York, Toronto and Portland, OR but now calls Boston home. In 2014 Sonia received her Master's Degree in Geography while focusing on home values and neighborhood change. She tries to remain active in her community in order to ensure development remains sustainable for all neighborhood residents. Carlos has been an insurance agent in Dorchester since 1980 and is a Dorchester homeowner. Prior to that, he was the assistant supervisor at a printing company in Canton, MA. He is president of Vargas & Vargas Insurance Agency Inc. with primary responsibility for marketing and client retention. He is actively involved in his church and with youth soccer as a past treasurer, current board member, coach and manager for Stoughton Youth Soccer. He is married, has two sons and is a graduate of Stoughton schools.